Shopping for clothes and fashion is great fun but the experience of stuffy and confined changing rooms can be stressful and frustrating. 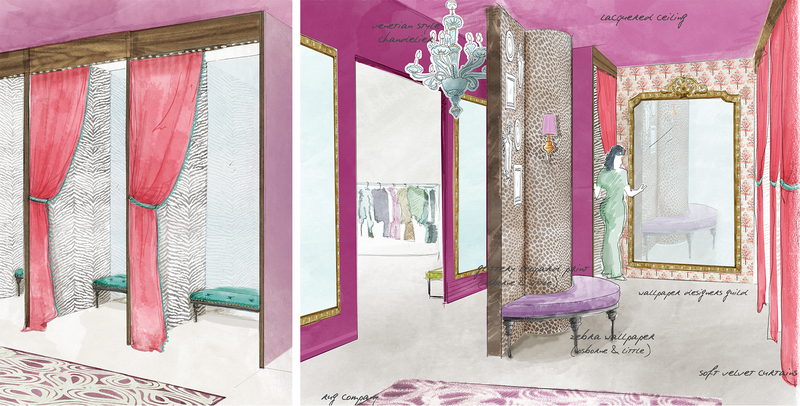 A fitting room should provide a sense of luxury, sensuality and intimacy. 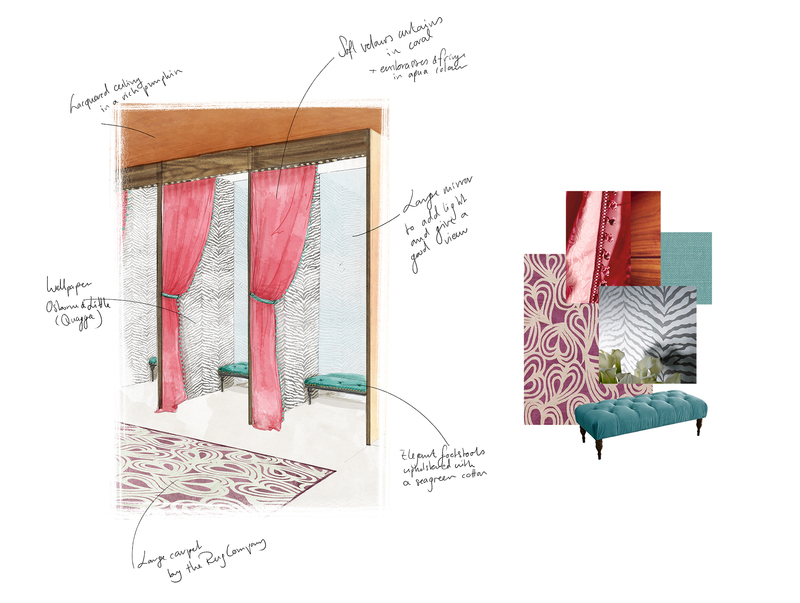 Behind the curtain it is a safe place, a boudoir, with all essentials provided for. 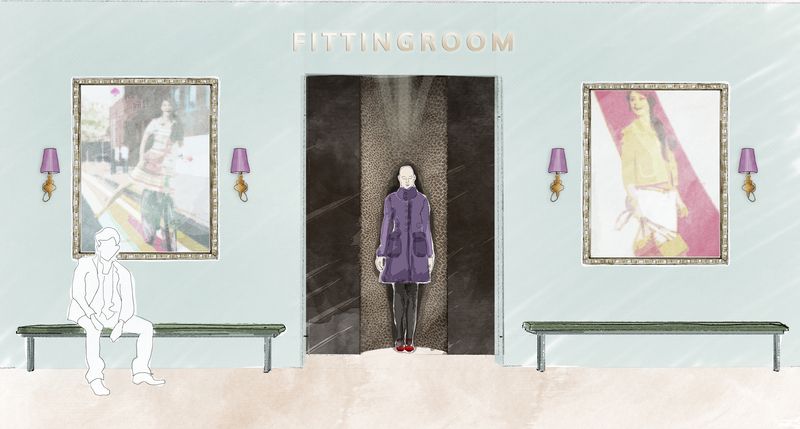 And emerging from the fitting room, the space is a shared one. A public space where a sense of intimacy is still key to the concept, yet it is shared by other customers and their friends. My hope is that every fashion shop that cares about their female clients will understand the need for more space, more comfort and a more inspiring atmosphere. 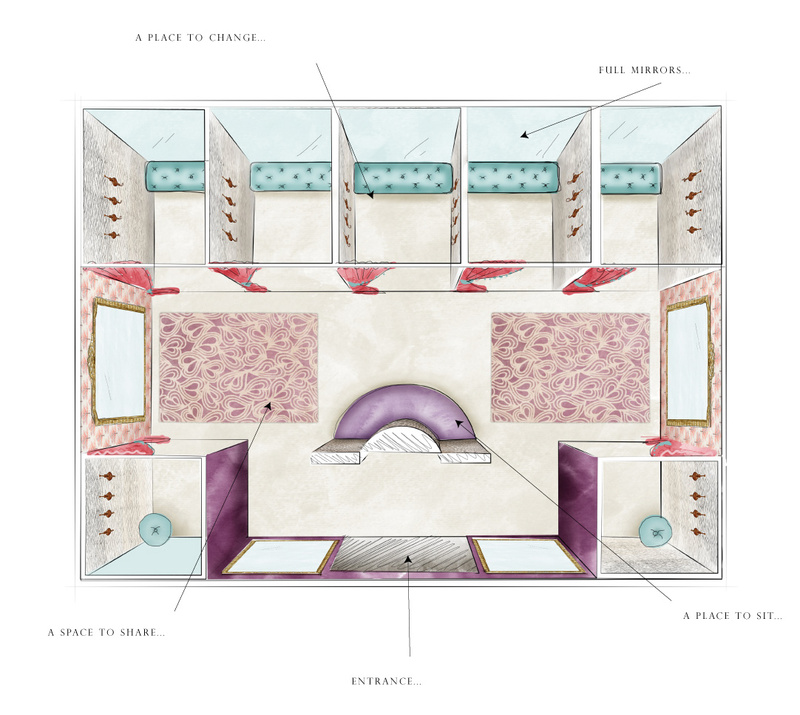 This is a design for fittingrooms that are both stylish and intimate, with a place to change, share and interact with friends and other shoppers.